Koji Toda, a Beijing born environmental expert, was awarded the 2017 Magnolia Award by the Shanghai Pudong New Area government on Sept 6, for his special contributions to economic and cultural industries in the city. The Magnolia Awards were launched in by the local foreign affairs office in 1989 to reward expats who have made significant contributions to business, finance and other industries in Shanghai. Koji was born in Beijing in August, 1966. He graduated from Chiba University with a master‘s degree of industrial chemistry in 1997, coming to Shanghai in 2000, and living and working in the city for the past 17 years. 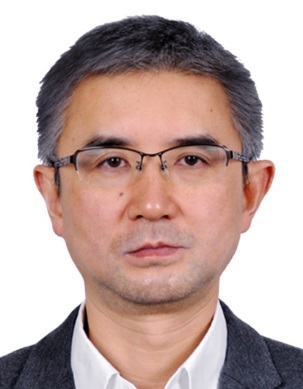 He is the Energy System Project Department General Manager of IHI (Shanghai) Management. Koji has worked on environmental engineering projects such as FGD (flue gas desulfurization), SCR (Ammonia selective catalytic reduction), dedusting and sewage treatment of China’s major power stations. With his efforts, IHI Cooperation cooperated with Shanghai Electric Group to found the first environmental company oriented for thermal plants with FGD and SCR technology (SCE-IHI) in Shanghai. The Energy System Project Department Koji leads has undertaken key projects such as Shanghai LNG (liquefied natural gas) terminal and Hainan LNG terminal, as well as large devices such as the Ethylene Oxidation Reactor for Tengzhou Kaiyuan Bio-chemical and the LNG compressor for Shanghai Wuhaogou LNG terminal and Shenzhen gas LNG terminal. On top of introducing advanced technologies from abroad to Shanghai, with the guidance of Koji, the company has attracted a large number of outstanding technicians, creating more than 60 percent value for the company and contributing to the development of Shanghai’s electric power environmental protection and clean energy. The Shanghai LNG terminal has undertaken more than 60 percent of the total consumption of Shanghai’s gas supply. Koji has devoted himself to public service since arriving gin the city. He spends his time teaching young engineers advanced technologies and offering help for them learning Japanese. After the Sichuan Wenchuan earthquake, Koji made donations in his own name and actively organized the donation events in his company. Additionally, he also pays attention to the educational questions in remote China and provides assistance within his own capacity for young volunteers. Koji hopes that the educational questions in remote China can be improved. As a bridge between the company and the Shanghai government, Koji brings his language advantage into full play. With the support of the Pudong New Area government, IHI Cooperation established its regional headquarters – IHI (Shanghai) Management – in Shanghai in 2011. Now, Koji is busying himself in communicating with government agencies, such as Sthe hanghai Municipal Commission of Commerce, Pudong New Area Municipal Committee of Commerce and Lujiazui Finance and Trade Zone Municipal Committee of Management, on the establishment of the company’s investment branch, increasing their investments in Shanghai Pilot Free Trade Zone and continuing offering high-quality services for the city. Copyright © 2017 Shanghai Pudong New Area Government.